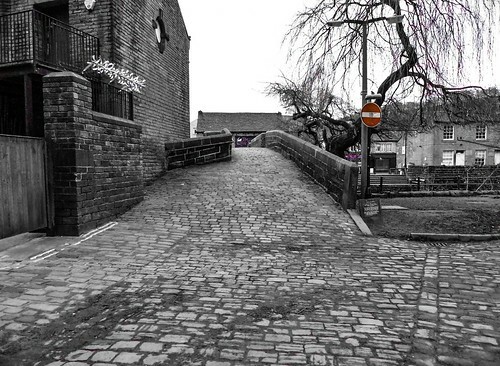 Colin Green Photography: Hebden Old Bridge, Calderdale. 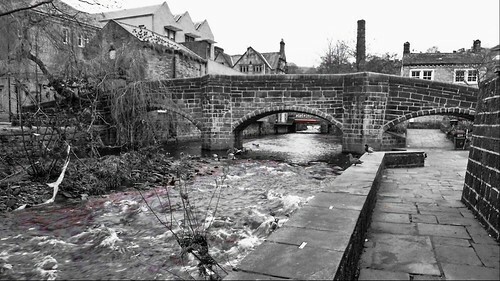 Hebden Old Bridge also known as the Old Packhorse Bridge is a Grade II listed, 3 arch stone bridge that crossers Hebden Water in the market town of Hebden Bridge, West Yorkshire. The bridge was built circa 1510 to replace an earlier timber crossing a little further upstream. It is 7ft 6 in wide with passing places in the parapet. There are a total of 13 pictures to view. They were taken in November 2013 using a Samsung Galaxy Tablet or December 2015 using a Polaroid iS2132 Bridge Camera. The Flickr album features 10 of the pictures, which can be navigated using the arrows or seen full size on Flickr. Selected ones can also be viewed below. There are an additional 3 pictures that can only be seen on Clickasnap via the links below. 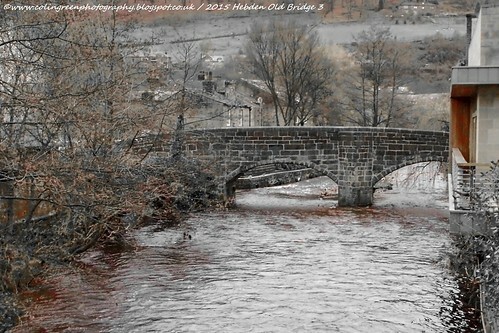 Click here to view "Hebden Old Bridge" on Clickasnap. Each view of over 10 seconds helps support my photography. Where I upload a few slideshows of images or occasional videos. where some images are listed for sale.